Where Are The Customers Yachts? Or A Good Hard Look At Wall Street - IFA Vintage and Current Book Library - Index Fund Advisors, Inc.
Its a terrific read, very humorous and an industry classic. 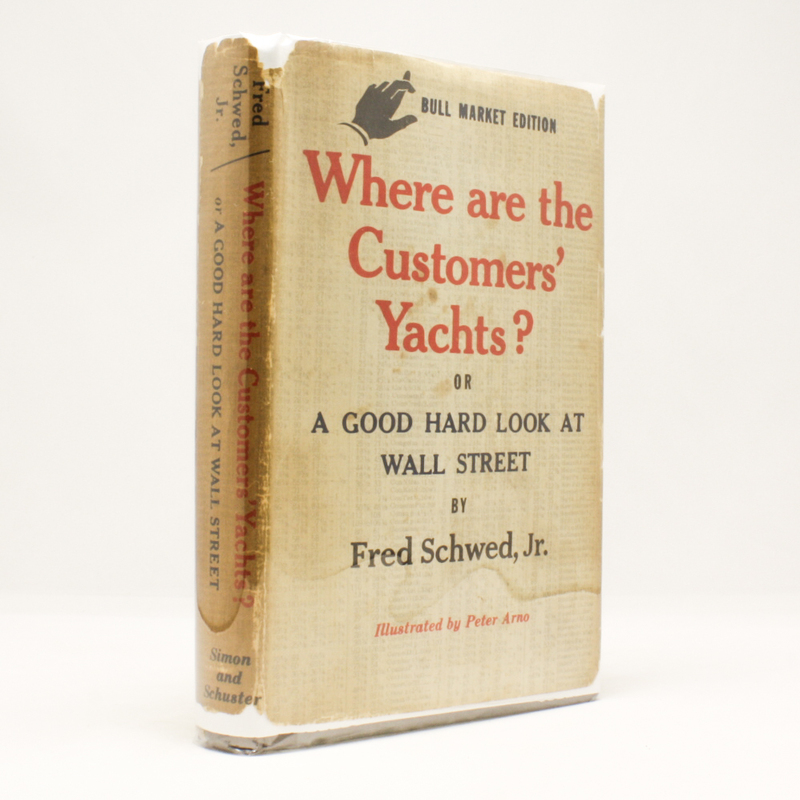 This is a second edition, first printing or otherwise known as the "Bull Market Edition" by Simon and Schuster, New York, 1955, illustrated by Peter Arno. Dust jacket is worse for wear and just barely intact and with some discoloration, but its still there luckily. The book itself is in very good condition. A scarce classic.